Right now, I want to share with you, if you’re a writer, how to make a living with your writing and your books. 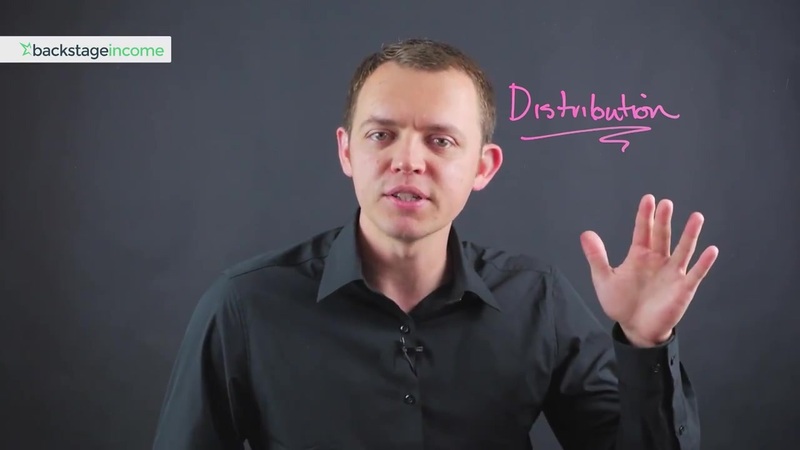 It all comes down to one main thing, and that is – distribution. When I started writing my first book, I was a little bit discouraged because I got the book and done everything. I did the promotion, I had an email list, and I was hoping to get some traction and some sales. But, it was disappointing with the results. Even if I did accomplish this one big thing (where I finished my book) and it was ready to go out in the real world, I was a little bit disappointed. The main thing is to understand that when you write a book, you have an asset that you can use it to your advantage. That’s what you need to start taking into consideration. This is a stepping stone to the next level, so when you start thinking about distribution and how to spread your content, this is where you can earn the bulk of your money. A lot of people when they get into the writing process they only think about writing and their book as a product. This is their starting point, and that’s where they hope to make their money. You also think that is the right way of making money. But the thing is it doesn’t work out that way when it comes to the writing process or building an online business. You need to look at distribution and the ways how to spread things. Once you have your writing done – you have an asset. If you take a look at the bigger picture, you can realize that there is a way to bring things to that next level. Some people prefer to buy a paper version. They love to hold a book while they are reading. Others don’t. You have to satisfy every customer. That’s the way to generate some money. Give everyone an opportunity to feel comfortable reading your writings. However, this is only a little stepping-stone for you. You have to realize that your book is core foundation and what you have to do is build that next stone from your writing. You’re making money from the audio, the PDF, the paperback, the e-book itself and now we have to raise that bar higher. I need you to realize that at this point people are reading your book and they’re digesting your content. What happens next is they have a want to visit your website. That way you can make money from affiliates. The next thing can be creating your product. Then you can adjust your book and start linking it in your PDF, paperback or ebook. 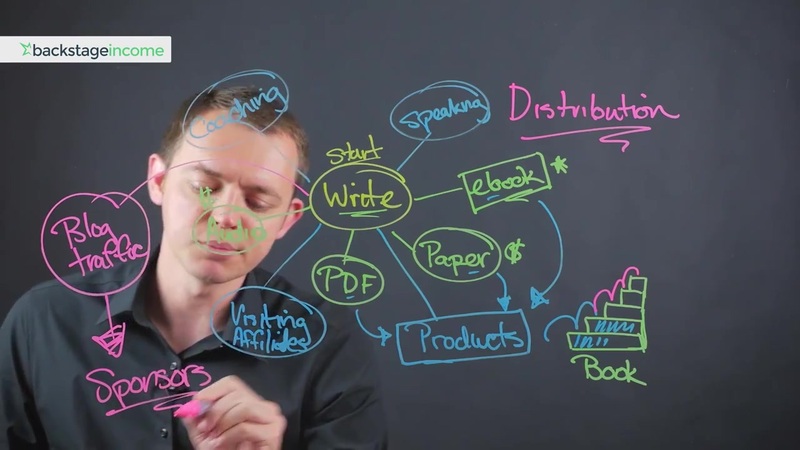 All of this becomes a network, so you start creating links that point back to your products and referencing them. You might even point back to your coaching programs. That’s another way that you can make money. Or even speaking gigs. The sky is the limit. As you become more popular, as these things continue to expand, you’re also starting to grow to the next level. That means you could also increase your blog traffic. Next, as that blog traffic increases that can create more sponsors or sponsorships. I want you to see how this works. This is the big picture scheme of things and most people when they get into writing don’t understand. Don’t limit yourself; use everything you’ve learned in this post. You have to avoid that typical approach and realize that things are multi levels deep when it comes to an online business. There are always multiple levels behind it. Things don’t move in a one-to-one causality; things don’t change in a one-to-one manner. Instead, it’s all organic, and it’s working together. 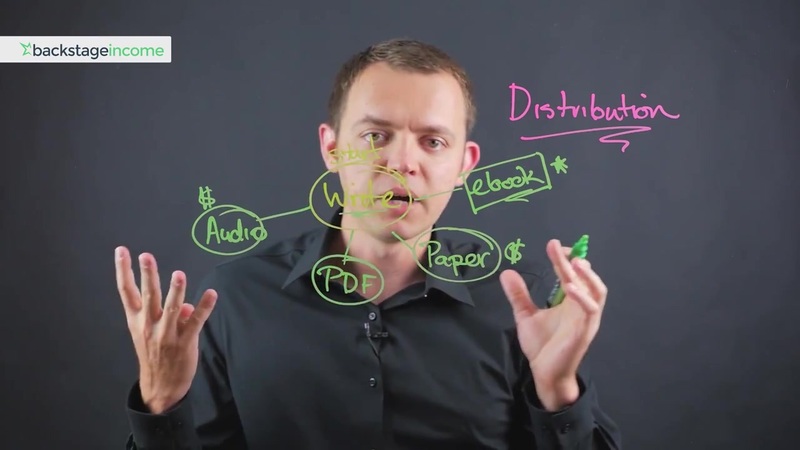 It all comes down to this big picture distribution concept, and that book platform is just another way for you to distribute your message to the rest of the world. I hope you figure all this out and that you’re ready to implement all of this in your business.